KataCon is a couple of weeks out. If you are considering going you are probably looking at the keynote speakers and breakout workshops. The other reason to attend KataCon is to meet other people and share experiences with them. I’d like to introduce you to two of those people. Hal Frohreich is the Chief Operating Officer of Cascade DAFO in Ferndale, Washington. Their product is custom pediatric foot / ankle orthotics that help kids walk. Yup, custom. Every one is different. Since taking the position, Hal has been using Toyota Kata as a mechanism to develop the leadership and technical skills of the supervisors and, in doing so, make fundamental shifts to the culture of the organization. For you TWI folks, he has also deployed TWI, especially Job Instruction, along side the Toyota Kata for much more consistency in the way work is performed. Hal provides support to his Production Manager, Tim Grigsby. Tim coaches 4-7 kata boards every day and covers diverse areas including people development, I.T. issues, R&D, and production. Tim views his job as seeing that each work team has the time, education, direction, space, tools and help to improve their work. 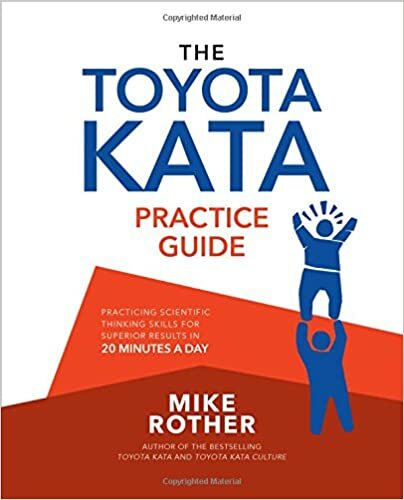 Toyota Kata provides the structure that he uses to help them develop critical thinking and clarity in their target conditions, obstacles, and their PDCA cycles. Each afternoon the COO and CEO walk the floor and review the target conditions, obstacles and next steps. This helps keep things aligned as well as ensure nobody is “stuck” on a problem that is outside of their scope to fix. I believe, and teach, that Toyota Kata is a mechanism for driving culture change, and this is the philosophy that Hal and Tim have embraced. While the performance of the organization has dramatically improved by every measure you care to ask about, that is not the real result of this work. The real outcome has been to create a cadre of front-line leaders that are taking initiative and applying creative solutions vs. just getting through the day doing what they are told. Come to KataCon and find these guys. They are worth talking to. I’m obviously interested in your comments as I had some amount of input into the final product. For that, I would ask that you actually download the SlideShare, print it out, parse it, discuss it with others, and really pick apart what it means. There is a lot in here, more than you find in a typical LEI workbook. But I’d also like to discuss what I think are important points made here. Though it isn’t stated explicitly, the very structure of this example only shows the roles of line leaders. You don’t see anything about kaizen events or rapid improvement workshops led by staff specialists here. Each leader is directly responsible for getting the process to the next required level of performance. There is a business imperative underlying this entire effort. They didn’t just make a value stream map and ask “Hmmm… how much better could we make this by taking out some waste?” Nope, this is driven by a need to get a level of performance that, today, they cannot achieve. As a sidebar, please note that the “kaizen bursts” are on the FUTURE state map (slide 28) … they represent the OBSTACLES in the way of getting there, not “opportunities” on the current state map. If you look at the target condition for the changeover, it is 14 minutes. There is nothing sacrosanct about a 10 minute changeover, that is just from the name of a book. They need to get changeovers to 14 minutes to get the process performance they want. It’s math. You will notice there is some back and forth – what is commonly called “catchball” in the dialog between the various levels of coaching. But they are not discussing the overall business imperative. They are discussing the obstacles, targets, and approach that will be taken to get there. This is an important point because, in the early days, “catchball” was taught by many consultants as a negotiation of the objectives. But Nancy’s objective isn’t negotiable. What might be negotiable is how much of her lead time objective gets carried by gear machining vs. the unseen conversation with assembly, a cap-and-trade of sorts, but in the end, her group is on the hook to hit her target. When Nancy asks Steve “Which obstacle are you addressing now?” he responds with the long changeover… while that changeover is the target condition between Steve and Roger. Steve is working with Roger to break that obstacle, to hit the 14 minute changeover, thus this is what he tells Nancy he is working on now. The presentation doesn’t go into the further details of their discussion (heck, it is already up to 80 slides…), but I’d venture to say that conversation is going to be as much about how well Roger is doing figuring it out and his learning conditions as it is the process itself. Why? If Steve did it himself, Roger wouldn’t learn anything. Continuous improvement is about continuously improving people. At the next level down, Roger is addressing obstacles one by one. Roger’s target condition of a 14 minute changeover breaks down to obstacles that he thinks are in the way of getting there. Each of them has an unknown solution, and so must be broken down systematically. The terms change, but the process is just getting finer grained. We finally get down to individual experiments to test an idea and learn more about the process. There are a lot of sports analogies, heck, “kata” itself is a sports analogy of sorts. But the key is that this isn’t just giving someone an objective and having them report progress. Though the “coaching kata” seems ritualized, there is a lot of nuance. As I mentioned earlier, a lot of novice coaches, especially those whose normal work patterns are to delegate the details, fall into the trap of thinking they can just recite the coaching questions and they are coaching. It actually takes a lot of practice reading how far you can push your learner today, what he is struggling with, knowing when to give direction, vs. give a hint, vs. let her try something that the coach is pretty sure won’t work but will be a learning opportunity. 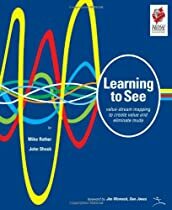 That means the coach has to be able to see things the learner or improver might miss. Sometimes those things can only be seen from an outside perspective. That is why expert Olympic-class athletes have coaches. There are some details that cannot be seen from inside. Being with people in a supportive but challenging way so they can learn and develop is one of the key elements of respect for people.